What Compensation Will I Receive If I Hurt My Neck At Work And Have To Have Surgery? | Pothitakis Law Firm, P.C. What Compensation Will I Receive If I Hurt My Neck At Work And Have To Have Surgery? In 2015, over 28,300 workers across the country experienced neck injuries serious enough to warrant a workers’ compensation claim. 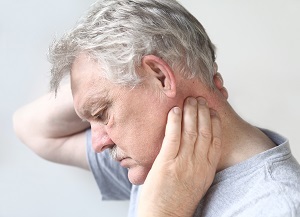 These injuries can be mild or severe, and a number of different treatment options exist.Some Iowa workers find that less invasive care simply can’t relieve neck pain, and they are forced to undergo surgery. In those cases, the Iowa workers’ compensation system can provide payment for medical bills and wage replacement. Here, we take a closer look at neck injuries, treatments, and the effects on employees. Why Are Neck Injuries So Prevalent Among Workers? The neck comprises many different structures. Vertebrae, muscles, nerves, and ligaments make up the neck, which supports the head and is capable of a wide range of motion. This flexibility and a lack of protecting structures can leave the neck more vulnerable to injury than the rest of the body. Additionally, the neck is the uppermost portion of the spine, and an injury to the neck can have significant effects on the rest of the spinal column. As a result, it is true both that it does not always take a great amount of force to create a serious neck injury, and also that high-energy situations (such as motor vehicle accidents) can cause significant damage. There are many work circumstances that can result in neck injuries, missed work time, and the need for medical care. The treatment options for these injuries depend on the unique circumstances and symptoms of each individual. Generally, rest and pain medication are the first step. Further treatments can include physical therapy, nerve stimulation, immobilization, and steroid injections. These options are often effective in relieving pain and helping injured workers get back to their normal lives. Unfortunately, this is not always the case, and some employees require even more invasive treatment. To remove damages structures causing nerve irritation. To stabilize the neck vertebrae. To decompress the spinal cord. Though neck injuries requiring surgery are rare, they do occur. Depending on the type of procedure that is necessary, the recovery process can be slow. It may take months of rest and rehabilitation before an injured worker is able to return to any type of work. Many injured workers worry about how they will provide for themselves and their families during that time. Fortunately, it is possible to obtain Iowa workers’ compensation benefits. All the wage replacements benefits are offered biweekly at a percentage of the injured worker’s spendable earnings. To obtain wage replacement, it is often necessary to undergo a medical exam by a doctor selected by the employer or its insurance carrier. These exams are important in determining both eligibility and amount of compensation. Every situation is unique, and there are many factors that affect the compensation awarded to an injured worker. An experienced workers’ compensation attorney can help ensure that the medical exam and its findings are as beneficial as possible to the employee. Additionally, it can be necessary to dispute the determination the examiner to the worker’s compensation commission. A knowledgeable lawyer can help navigate the system, locate and present compelling evidence, and make sure the employee’s rights are protected. If you or someone you love has suffered a neck injury and subsequent surgery, you may be able to obtain compensation for medical care and wage replacement. Download a copy of our book, 7 Things You Must Know If You Get Hurt at Work, for important information about Iowa workers’ compensation claims and helpful tips to protect your future. Do I Need an Attorney for My Workers’ Compensation Claim? Previous PostPrevious How Does A Pre-Existing Condition Affect My Workers’ Compensation Benefits? Next PostNext Are There Any Time Limitations For Filing An Iowa Workers’ Compensation Claim?